Know Your Dressings: Hydrogels - DermaRite Industries, LLC. Know Your Dressings: Hydrogels - DermaRite Industries, LLC. Wounds require adequate moisture to heal. Without sufficient moisture, the wound bed may become dry or desiccated, leading to necrotic wound tissue, which can result in a larger, deeper wound.1 Achieving optimal moisture in the wound is a balancing act, a wound bed that is too wet can result in delayed wound healing and periwound maceration, which can increase wound size.2 Modern wound care is individualized; it is based on assessment, which includes the evaluation of moisture levels in the wound. 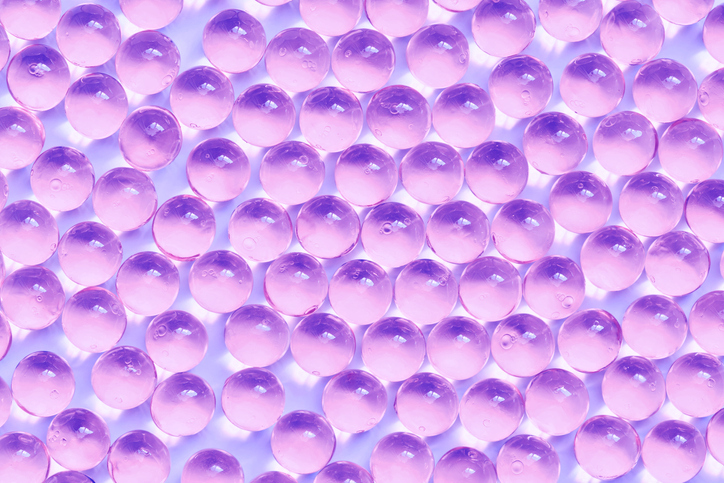 Moisture can be controlled in a wound using dressings to enhance healing. Hydrogel dressings provide moisture and are appropriate for wounds that are small or large, full or partial thickness. They can also be used in wounds with necrotic or infected tissue. Hydrogel dressings consist of approximately 90% water in a gel suspension.3 Properties that make hydrogel dressings the “ideal” dressing for an appropriate wound are their ability to promote healing, cost effectiveness, ease of application and their ability to soothe and reduce pain.1 Some hydrogel dressings are infused with antimicrobial silver to reduce bacteria in the wound environment. Designed for effectiveness and ease of use, DermaRite has a complete line of advanced hydrogel products. AquaDerm™ is a hydrogel sheet wound dressing with a waterproof backing. Cool and soothing, it reduces local pain in superficial wounds and absorbs moisture from wounds with minimal drainage. DermaSyn™ is an amorphous hydrogel wound dressing enriched with vitamin E. DermaSyn donates moisture to dry or minimally draining wounds for an optimal moist environment. 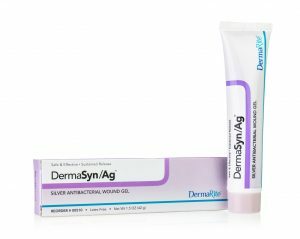 DermaSyn/Ag™ is a water-based gel wound dressing which contains ionic silver which has been shown to inhibit the growth of microorganisms. 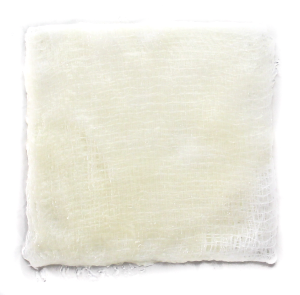 DermaGauze™ is a hydrogel impregnated gauze dressing. 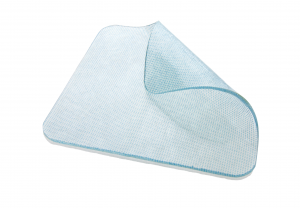 Convenient for gentle packing of dry to minimally draining wounds. Madaghiele, M., Demitri, C., Sannino,A., & Ambrosio, L., Burns & Trauma 2014 2:200401 https://doi.org/10.4103/2321-3868.143616 , Retreived August 7, 2018. Burd, A., Evaluating the Use of Hydrogel Sheet Dressings in Comprehensive Burn Wound Care. Ostomy Wound Management 2007; 53(3):52-62.